Image: Kristina Bumphrey/Starpix/Paley Center For Media/Shutterstock; Amazon; NINA PROMMER/EPA-EFE/Shutterstock. If you haven’t been watching Amazon’s brilliant series The Marvelous Mrs. Maisel, you have some catching up to do. And you’ll want to binge-watch the show now if you’ve been slacking, because it looks like Sterling K. Brown and Lauren Graham could guest star on season three. 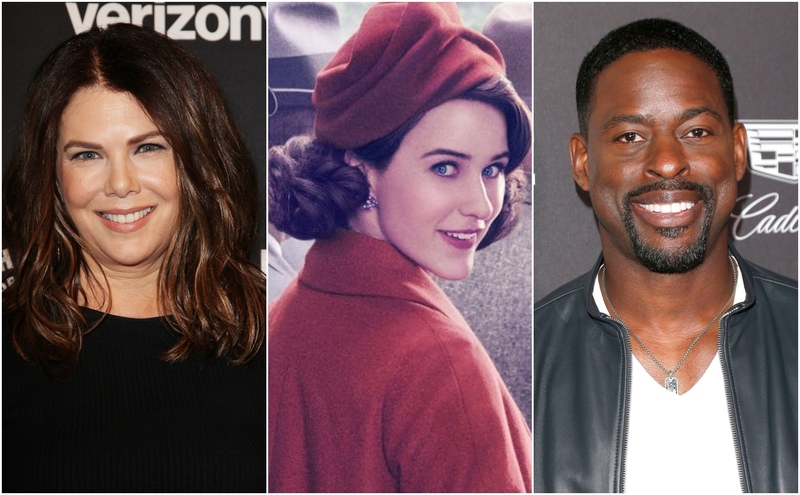 That’s right — Lorelai Gilmore and Randall Pearson may soon meet Midge Maisel and, obviously, this is the best TV news you’ll hear all week. As for Brown, his guest stint is currently more tenuous but still promising. Back in January, Marvelous Mrs. Maisel star Rachel Brosnahan quite literally crashed a red-carpet interview Brown was doing to gush about what a huge fan of Brown’s she is. It was clear the feeling was mutual, and the idea of Brown guest-starring on the show came up. Since both stars emphatically agreed that would be amazing, it seemed like only a matter of time before Brown came on board. That time, my friends, may very well have come. Chatting with ET prior to the start of the PaleyFest panel, Brosnahan revealed, “We’re still working on it. Still in negotiations. Talk to Amy [Sherman-Palladino]. Ask her!” When asked what type of role Brown might fill, Brosnahan deferred to the writers, saying, “I feel like I’m not allowed to have any opinions about the show. Our writers are gods here, and they would come up with something brilliant, I’m sure.” The earliest Brown would appear is in season three, but scheduling conflicts — he’s on a little show you may have heard of called This is Us — could mean Brown’s cameo comes in a later season. But don’t worry; the odds seem stacked in Brown’s favor for a guest stint. “[Brosnahan] doesn’t have to campaign very hard. We all want Sterling K. Brown on the show,” Sherman-Palladino said. “Sterling K. Brown happens to be a very busy man. We love him. We are trying to find stuff that works with his schedule.” So, it might take a minute to get the stars to align (literally and figuratively), but the entire team is committed to making it happen. “We’re massive fans, and we just love him to death, so we would be thrilled. Thrilled, thrilled, thrilled,” insisted Sherman-Palladino. The first two seasons of The Marvelous Mrs. Maisel are available for streaming on Amazon Video now.